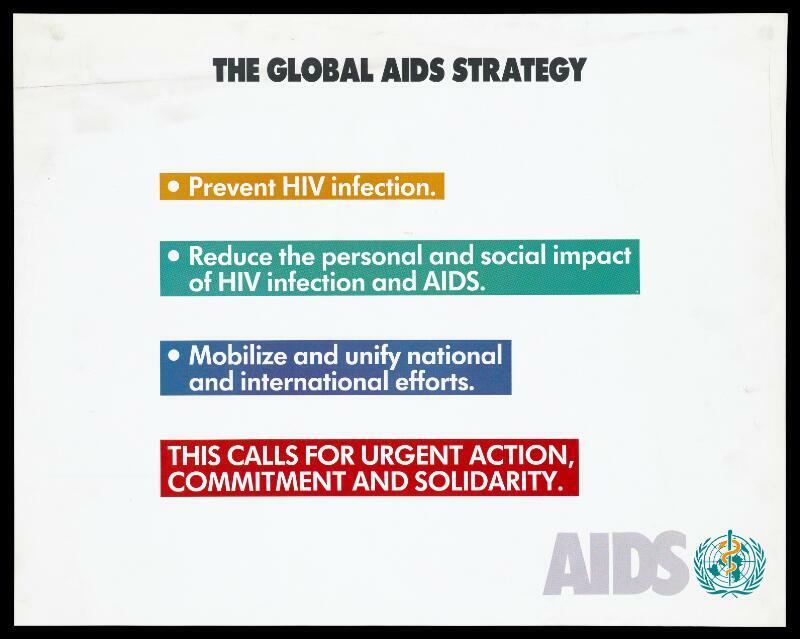 Goals of the Global AIDS Strategy for the World Health Organization (WHO). Colour lithograph, ca. 1995. The Global AIDS Strategy: prevent HIV infection; Reduce the personal and social impact of HIV infection and AIDS; Mobilize and unify national and international efforts. This calls for urgent action, committment and solidarity. AIDS.